There is going to be a wedding in the family soon (not me, I am going to remain one step ahead of the exes for the rest of my life) and so I found myself driving various people around to various places to do various things for the wedding. 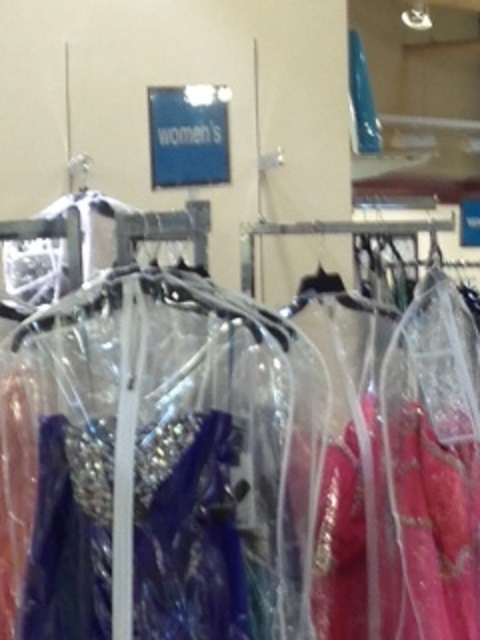 One such nightmare chore was to take my mother around looking for a dress. We found ourselves in a bridal shop whose name included the words “bridal shop” and sold exclusively bride’s and bridesmaid’s dresses. So I ask you, was the following sign really necessary? 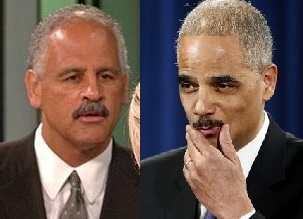 One of these guys is Attorney General Eric Holder. The other guy is Oprah’s boyfriend Stedman. Which is which? Even they don’t seem to know.